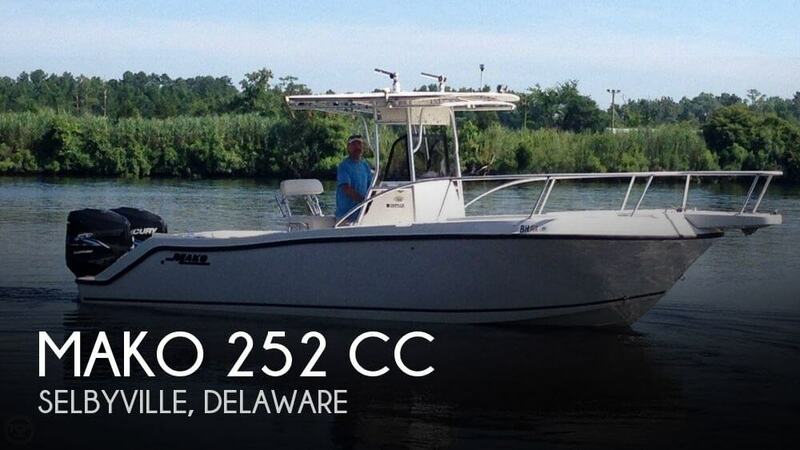 2000 Mako 252 Center Console We are pleased to present this fine classic 2000 Mako 252 Center Console. Key features are: Twin 150 Mercury Optimax engines with great reputation for being tough and reliable. Approx 700 hours. 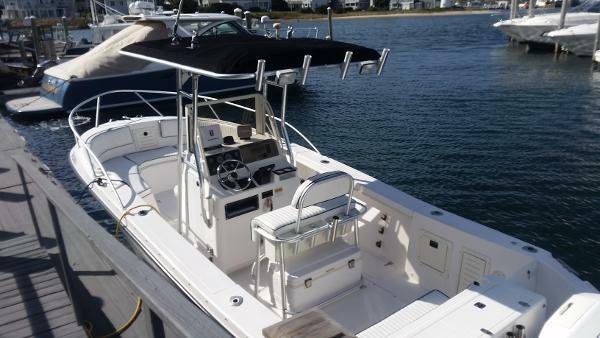 Bow Seating T-Top including Rupp top gun outriggers,4 Gold rod holders and spreader lights 2 in deck fish boxes Transom live well Integrated swim platform Ritchie compass, Garmin GPS Map 235 Sounder Bennett Trim Tabs Call for your e clusive showing. 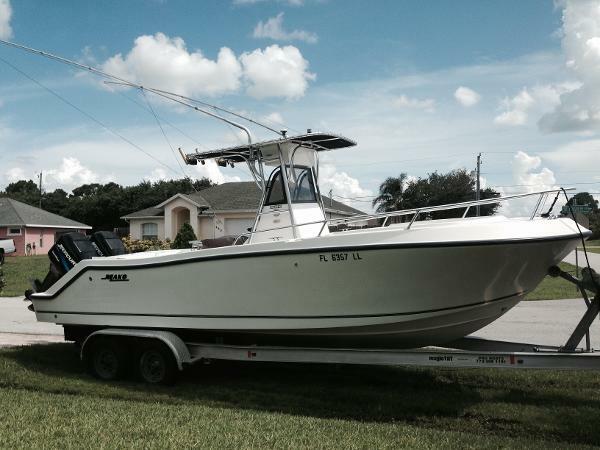 Mako 252, Suzuki 175 Four Strokes, Aluminum Trailer, Turn Key, Excellent. 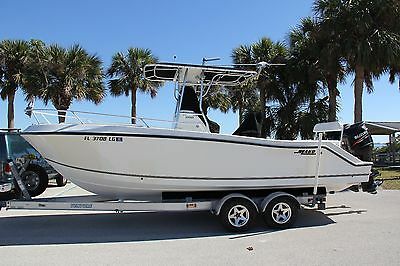 1999 Mako 252 Center Console, 2010 Suzuki 175 four strokes, 2007 Venture trailer. 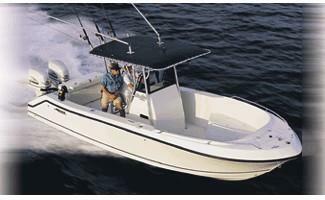 This boat is turn key, and of the era where Mako made a great boat. The engines have less than 390 hours. The boat has lots of seating offers a solid dry ride. Some options worth mentioning are : Dual Garmin GPS, recent Ray Marine Autopilot (6 months ago), Underwater LED lights, Alpine Stereo with two kicker Amps, 2 10" Kicker subs, 2 6.5" Kicker speakers and 2 8" Kicker speakers. All lights updated to LED, Fresh and Salt water systems. New batteries ( less than 6 months ago). Newer canvas, T-Top, Bolsters, motor covers... Tooo much to list. Trailer is Aluminum with torsion axles, LED lights and Aluminum wheels. Tires are less than 6 months old. Made a great crossing to the Abaco's in the Bahamas last spring. Come get her before someone else does. 321-794-6096. 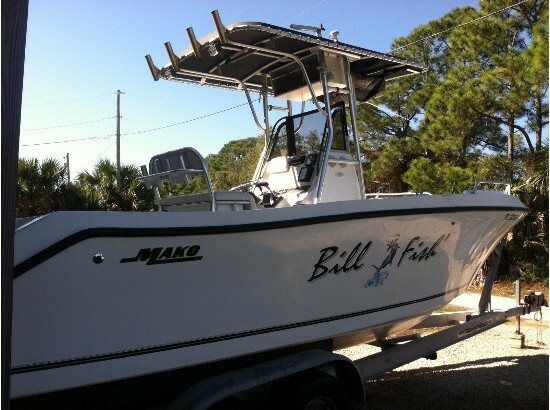 2005 Mako 252 Center Console 2005 Mako 252 Center Console w/ twin Mercury 150HP OptiMax engines (300 hours). Boat is in excellent condition with all the features needed for a day offshore. 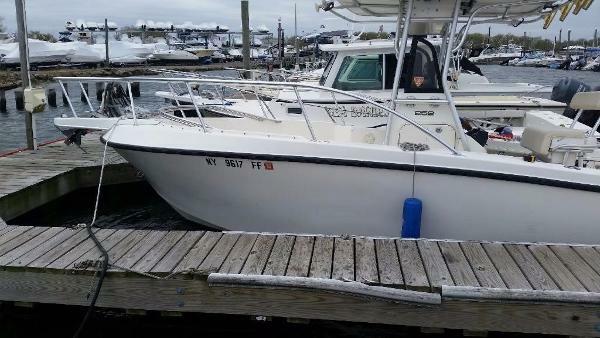 Features include: TACO Outriggers, spreader lights, fresh/saltwater washdown, 50 gallon livewell, under-gunnel rod/gaff storage, twin fish boxes, open console with head, Lowrance LMS 525cdf GPS, Lowrance LMS 339cdf sounder, Garmin GPSmaps 176C, Icom VHF, Sony Marine stereo. 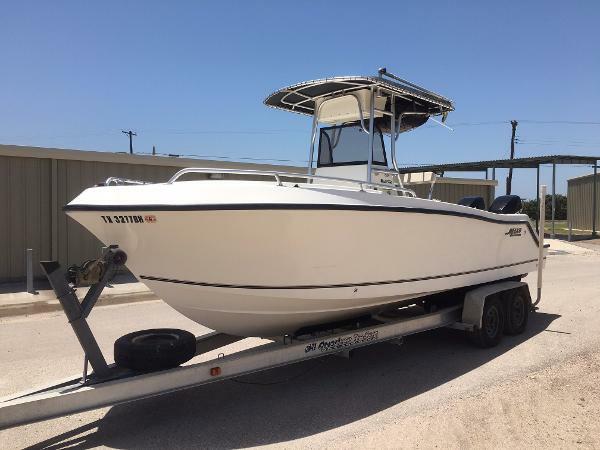 1997 Mako 252 CC Outstanding & trailer Legendary Mako ride and performance is well demonstrated with this popular 252 center console. Ideal layout for both coastal entertaining and offshore fishing. Comfortable- circular seating forward. Great cushions and upholstery at bow, helm and transom seating. Safe high gunnels for family outings. Head placement possible inside center console. Dry riding, substantial boat. T-Top. Spreader lights. Trim tabs. Shorepower plug in. Furuno NavNet Sounder. Garmin GPS Map 162. ICom VHF. Jensen Marine receiver and CD player. 250 watt Jensen MCDA1 amplifier, with mp3 port and speakers. Helm canvas enclosure. Helm cover, and boat cover. Outriggers. Transom door. Swim ladder. Deck shower. Freshwater pump. Ample live well. Saltwater wash down. Tackle stations. Plenty of rod holders. 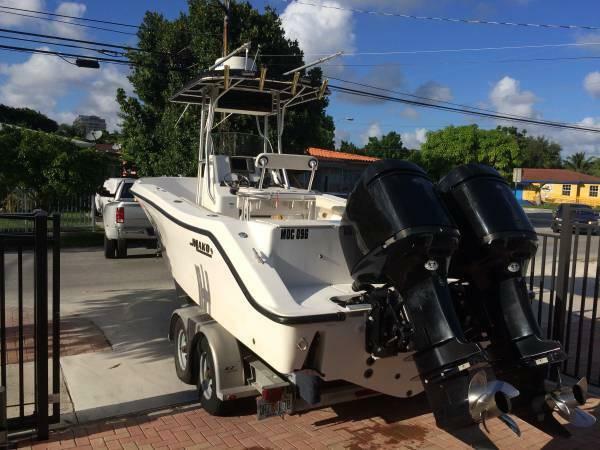 Professionally serviced twin Johnson 200 HP outboards, smooth running and only 605 hours. Stainless props. Trailer included. Call now- a highly recommended listing.